1931 Master confectioner Martin Braun founds the company "Feinbackbedarf Martin Braun" in Berlin. 1940 After 9 years the company has also 100 employees. 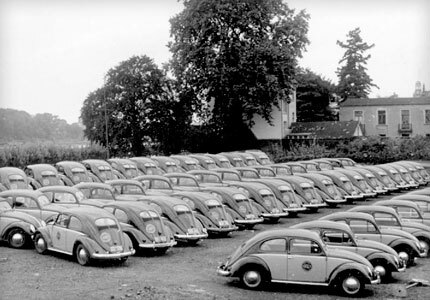 1948 The company headquarters are moved to Hanover. 1951 Founding of the Martin Braun help foundation for employees in need. 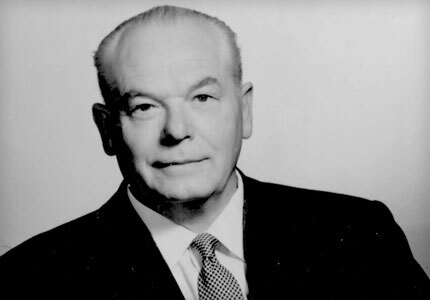 1963 Death of the founder Martin Braun. 1967 First baking demonstration in Germany in Berlin. 1968 First export activities to Hungary and the Netherlands. 1971 Move from Hanover-Linden to Hanover-Ricklingen. 1973 Start of the collaboration with C. Siebrecht Söhne KG. 1981 50-year anniversary of the Martin Braun company. The company now has 170 employees and generates DM 51 million in revenues. 1988 In the course of tapping new business areas, baking agents containing flour are manufactured in proprietary production for the first time. 1990 The company is taken over by the Oetker-Gruppe. 1992 Agrano/Switzerland is taken over by the Oetker-Gruppe. 1993 Comprehensive expansion of the production facility. 2000 Expansion of the new logistics centre on plant grounds. 2004 Martin Braun takes over the companies Wolf ButterBack (Fürth) and Arconsa SA (Spain). 2005 Founding of Martin Braun Sp. z. o. o. in Warsaw. Organisational merger into the Martin Braun-Gruppe in the area of "Food Service Baking" of the Oetker-Gruppe, consisting of the companies Agrano AG (Swisse), Martin Braun KG, C. Siebrecht Söhne KG, Arconsa SA (Spain, now: Martin Braun SA), Wolf ButterBack and Martin Braun Kft. in Hungary and Martin Braun Sp. z. o. o. in Warsaw. 2007 Opening of the BACKFORUM in Hanover. Takeover of the Italian company Cresco Italia in Brescia. 2010 Founding of Martin Braun Southeast Asia in Singapore. 2012 Acquisition of the manufacturer of fruit puree Capfruit, Anneyron in France. 2013 New Production plant in Central Poland. 2014 Acquisition of Delite, The Netherlands. 2016 Joint Venture with the turkish producer Polen Gida (Istanbul). 2017 Acquisition of the belgium manufacturer Diversi Foods. 2018 New Corporate Design for Martin Braun and the Martin Braun-Gruppe.